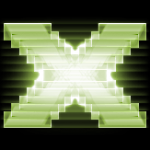 In this article I will give a quick introduction to DirectX. I will use Visual Studio 2008 as a development environment for this tutorial and I will start by showing how to install DirectX and configure Visual Studio 2008 to start developing DirectX applications. I assume that the reader has basic programming knowledge in C++. If you require a math refresher, you can refer to my “3D Math Primer” articles on Coordinate Spaces, Vector Operations, and Matrices.